Sigh. Here's scans from Robin # 182. Be prepared for some stupidity, bought to you by Tim (well, really Fabian Nicieza, but you know what I mean). An exclusive preview of Robin # 182 on Newsarama includes much Spoiler stuff! Remember, # 182 is out tomorrow! It should be noted I have added a new Cover Roughs section to this site in order to include this peice, as well as some others. A Panels and Layouts section has been added as well. Also a Professional Art section! Contribution would be wonderful, as I have very few examples right now. Steph is on the cover of the second issue of Battle for the Cowl! With the destruction of Arkham Asylum and dozens of Gotham City's most lethal villains rioting through the streets, it would seem that Nightwing, Robin, and their allies have their hands full. But they hadn't counted on the return of Batman himself! But is it really The Dark Knight? If so, why is he acting so strangely? And if not, is this a threat that could mean the destruction of Gotham? Cass is there too! Frabulous day! 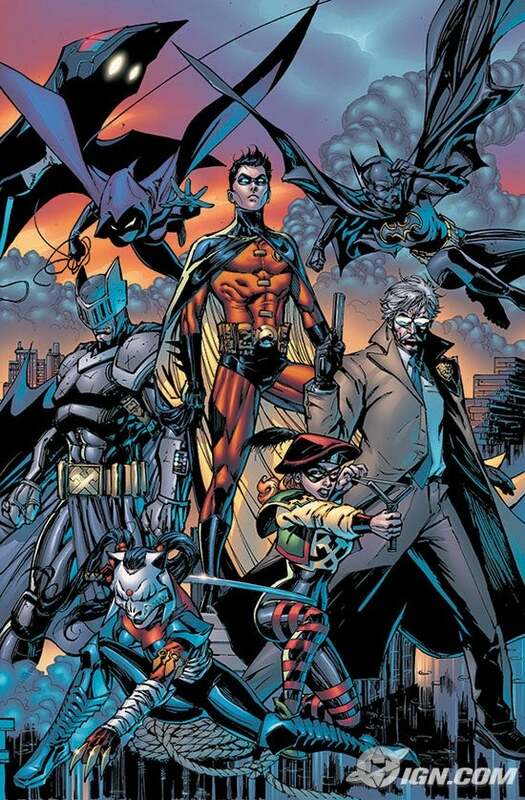 An interview with Fabian Nicieza about the Gotham Gazette series is up on Newsarama. The entire interview is really important to Steph because it reveals things about the structure of the story, for instance, as previously commented by Fabian, it's a two parter. But here's where Steph is mentioned specifically. ...For Stephanie, it's about making the right choice. After the events of Robin, this marks a very important decision on her part as to her future as Spoiler -- if she is going to continue wearing a costume at all, and if so, how will she operate in a Gotham City crimefighting hierarchy that might not appreciate her efforts anymore.